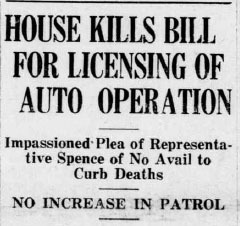 Today’s headline from the @ncnewspapers Twitter feed reads “House Kill Bill For Licensing Of Auto Operation.” I suppose I’d always taken it for granted that a license from the state was necessary for driving a car; certainly I would have thought that they would be in place by the 1930s. 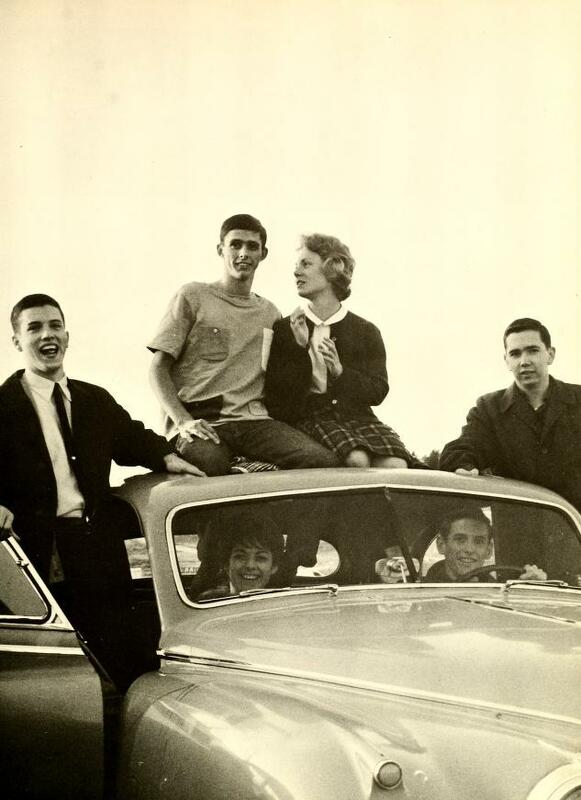 Forty-seven yearbooks from Methodist University are now available online at DigitalNC.org. The yearbooks span from 1964, four years after the institution was formed, to 2010. Methodist University also contributed three yearbooks from the now-defunct Carolina College, which was located in Maxton, N.C. Interestingly, the North Carolina College and University Yearbooks digital collection also contains fifty-four yearbooks and course catalogs from another defunct school that was once located in Maxton, Presbyterian Junior College. The small town of Brevard has lately received a lot of attention here at the North Carolina Digital Heritage Center. Following last week’s announcement about the digitization of early issues of the Sylvan Valley News, I’m pleased to announce that a long run of historic student newspapers from Brevard College is now available online. Over 700 issues of student-produced papers from Brevard College as well as predecessor schools Weaver College and Rutherford College can now be searched and browsed online. The papers range in date from to 1924 to 2006, and are a fantastic resource for studying student life in a small mountain college throughout the 20th century. These digital versions were created from original newspapers held in the Brevard College Archives, located in the James A. Jones Library. As the Girl Scouts of the USA celebrate their centennial this year, I wanted to look for historic images of Girl Scouts in North Carolina on DigitalNC. It’s clear that the Girl Scouts have been active throughout the state for many decades. 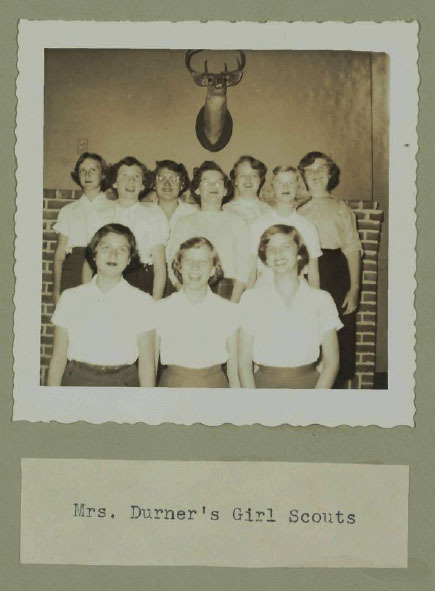 Here are a few highlights from the handful of interesting photos and items relating to Girl Scouts on DigitalNC.org. 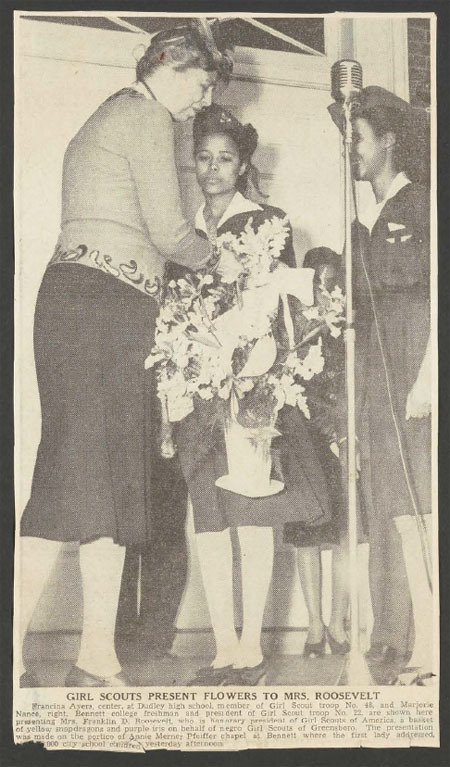 Girl Scouts in Greensboro welcome First Lady Eleanor Roosevelt during her visit to Bennett College in 1945. From the Bennett College Library. 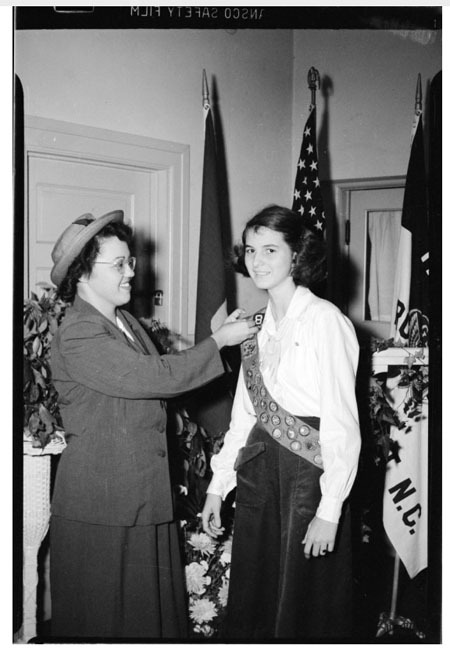 Girl Scout receiving a pin during Scout Week, 1951, in Rocky Mount. From the Braswell Memorial Library (Rocky Mount, N.C.). Girl Scouts in Ashe County, ca. 1940s. From the Ashe County Public Library. 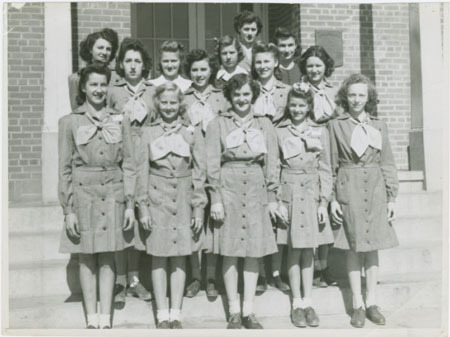 Girl Scouts in Burgaw, 1954. From the Pender County Public Library. 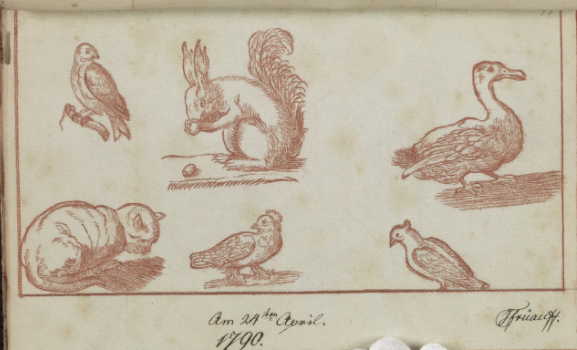 Ten early student exercise books from the collections at the Old Salem Museums & Gardens are now available online at DigitalNC. 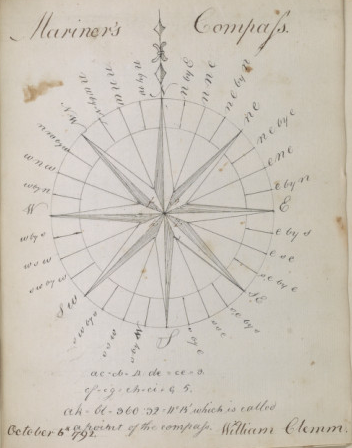 These fascinating volumes, primarily from the late 18th and early 19th-centuries, are the work of students from the Moravian community in Nazareth, Pennsylvania. 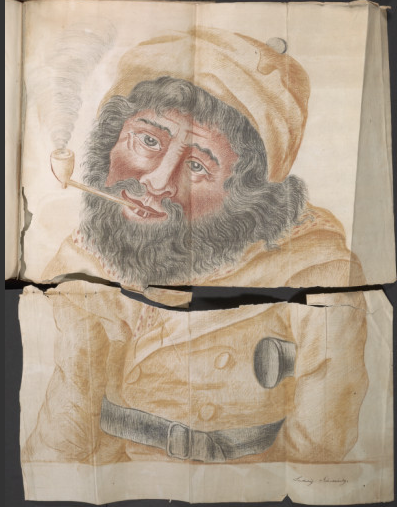 We will be digitizing more volumes from this collection later this spring. The Sylvan Valley News from 1900-1911 is now available online through the North Carolina Newspapers project. The paper was published in Brevard and contains news from all over Transylvania County as well as updates from the “mountain metropolis” of Asheville. Looking through the paper one gets a first-hand glimpse into the struggles and excitement of a small town emerging into the twentieth century. Issues of civic improvement are often at the forefront as the citizens of Brevard make the case for pressing issues such as the addition of sidewalks and electric lights to their town. The Sylvan Valley News was nominated for digitization by the Transylvania County Library. More issues of this paper, including its successor, the Brevard News, will be published online this winter. 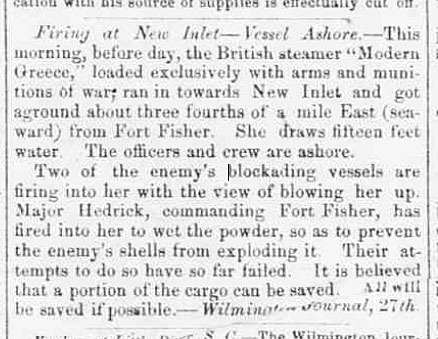 After reading about the exciting work taking place this week on the coast as archaeologists and volunteers uncover artifacts from a sunken Civil War ship, I went looking through the North Carolina Newspapers collection for a mention of the wreck. The last lines are especially notable: “It is believed that a portion of the cargo can be saved. 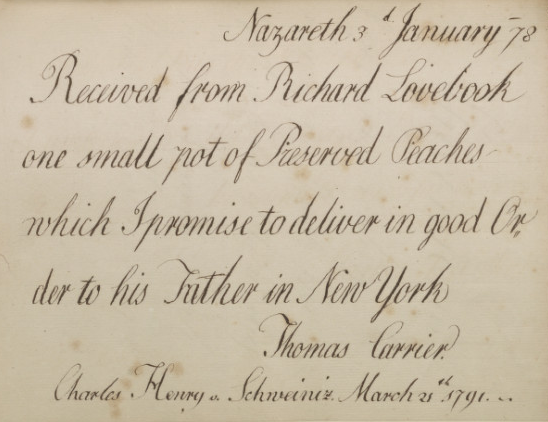 All will be saved if possible.” Portions of the cargo are indeed being saved. It has only taken 150 years. The more we read old newspapers, the more we find what we assumed to be modern trends showing up long ago. The Sylvan Valley News, published in Brevard in the early 20th century, was a strong advocate for the “Buy Local” movement. In those days, local businesses weren’t threatened by large discount chain stores or online retailers but by another recently-developed and extremely popular shopping alternative: the mail order catalog. Chicago, of course, was the home of Sears, Roebuck and Company. 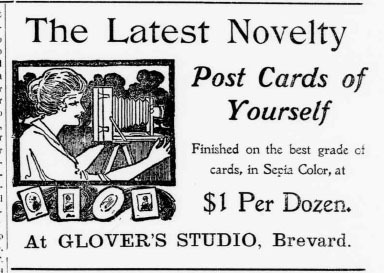 We found this ad in an issue of the Sylvan Valley News, published in Brevard on August 10, 1906. The “novelty” of creating custom postcards was a widespread phenomenon, resulting the creation of many thousands of rare and often unique images that seem especially striking when we come across them today. Photographic or “real photo” postcards are actual photographic prints produced on postcard backs, enabling the users to mail them as they would a normal postcard. While the act of simply mailing a snapshot doesn’t seem like a big deal today, it was in the early twentieth-century, as people around the country shared scenic and personal photos with ease. 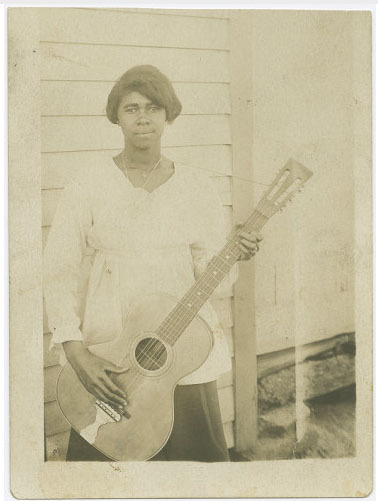 Dora Mayberry, Cooleemee (Davie County Public Library). 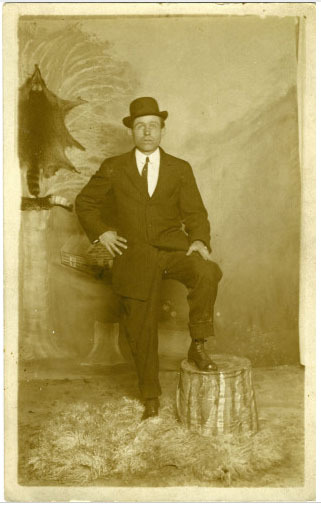 John T. Etheridge of Rocky Mount (North Carolina Collection, University of North Carolina at Chapel Hill). Note the raccoon skin on the wall behind him. 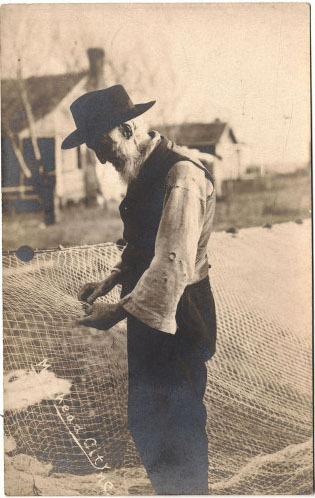 Fisherman repairing a net in Morehead City (North Carolina Collection, University of North Carolina at Chapel Hill). 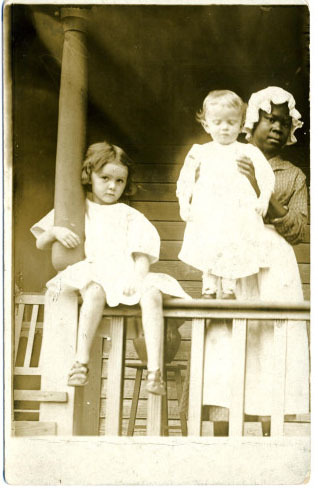 Susie Sharp family photo, Reidsville (North Carolina Collection, University of North Carolina at Chapel Hill).